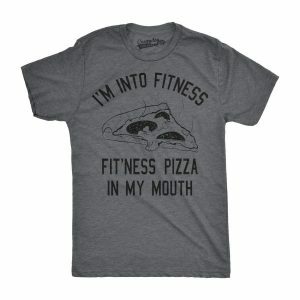 I’m Into Fitness… Fitness This Pizza In My Mouth Men’s T-shirts. These tees are unisex but sizes are listed in men’s. If ordering for a women, keep that in mind. Price is $6.89 with a $1.99 shipping charge.